I'm sitting here figuratively tearing my hair out, because I can't for the life of me figure out how to properly use my new laptop. It's really been a huge deterrent in the last few months, which is why I just haven't been blogging. I really wanted to write this blog post but it's taken me over an hour to merely import the photos and brighten them up a little, I haven't even managed to resize them so I've just given up and decided to post them as they are!! Hopefully in the next few days I can learn to do some basic editing on this laptop (or download another program that will help me do that). If you've got any recommendations for a simple photo editing software (I'm using Windows 10), please help a girl out and let me know in the comments because I AM DESPERATE. Okay, back to blogging. 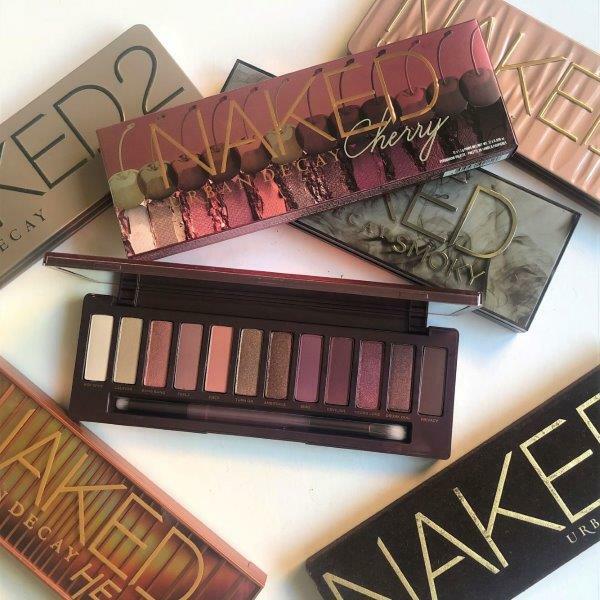 Have you seen the latest launch from Urban Decay in the Naked collection? It's called Naked Cherry, and it's true to the warm toned trend we've been seeing a lot from of late. This palette is part of an entire collection, comprising of the Naked Cherry Eyeshadow Palette ($83), 2 24/7 Glide-On Eye Pencils ($33 each), 3 limited edition Naked Cherry Vice Lipsticks ($30 each), and the limited edition travel sized Cherry All Nighter Setting Spray ($23). 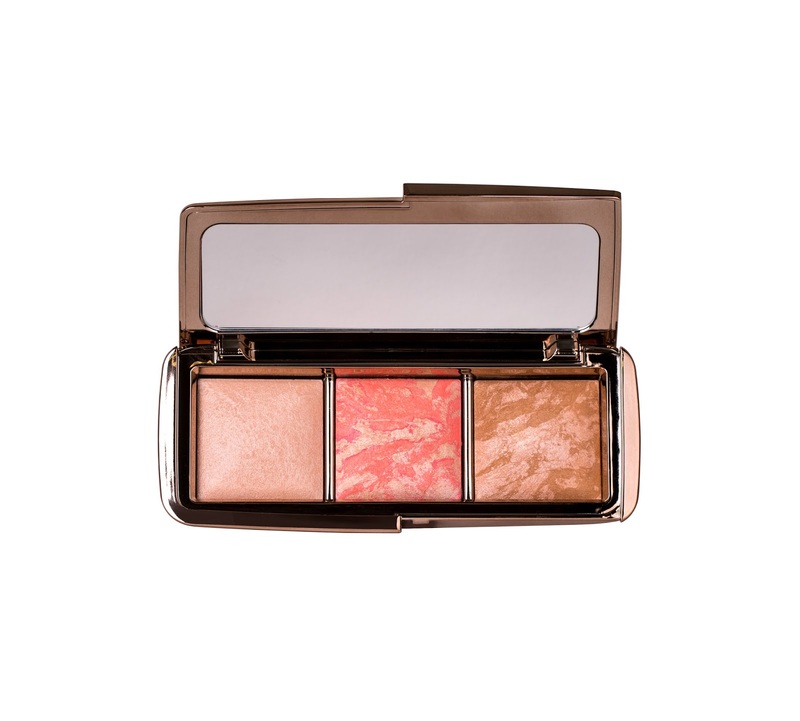 The launch in the US also has the Naked Cherry Highlight and Blush Palette, though we won't be receiving this here in Australia. 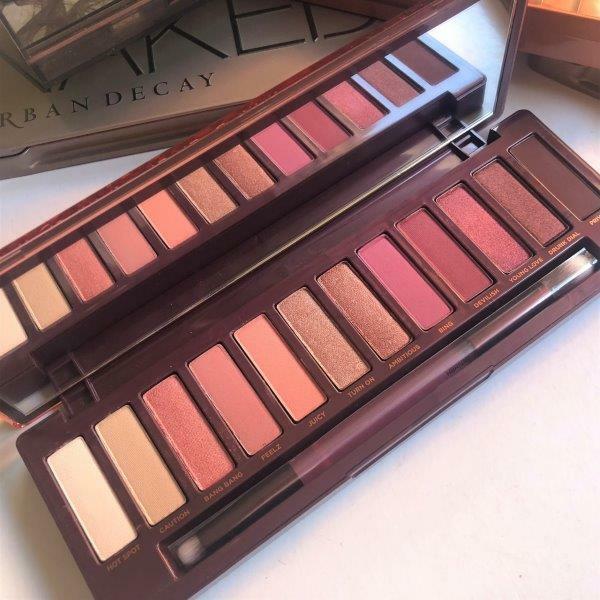 Just like the other Naked palettes, it has 12 shades comprising of a good mixture of mattes and shimmers, with a few good transition shades included. All in all, I think it's a pretty all-inclusive palette, you can take it traveling with you and have enough options to create a variety of looks. Isn't it gorgeous? I think another name for it could've been Naked Wine or Naked Ruby! Let's take a closer look, shall we? Keep reading after the jump! Elucent Anti-Ageing + Whitening Skincare Review (Version 2) - The Update! It seems like all I do is apologize for neglecting my poor blog, as well as all of you, loyal readers! The thing is though, 2018 has been a bit of a period of upheaval for me, so I've been busy trying to keep my head above water, what with balancing full time work, my health and a few other personal issues. It's odd because I do love blogging very much and sharing my thoughts on things with all of you, yet the longer I've been away, the harder it was/is to return. My old laptop pretty much died on me as well, so I had no choice but to get a new one. The only problem is it doesn't have any of the simple tools I used to use, which also made returning to blogging a lot harder. I can be a bit of a perfectionist as well, which doesn't help matters any. Hence, I decided to just dive in, and not worry about how perfect or imperfect things are, and just get the ball rolling again, so please bear with me if things aren't as smooth as they usually are. The last post I wrote was on some beautiful products I was trying from skincare brand Elucent (you can read it here). 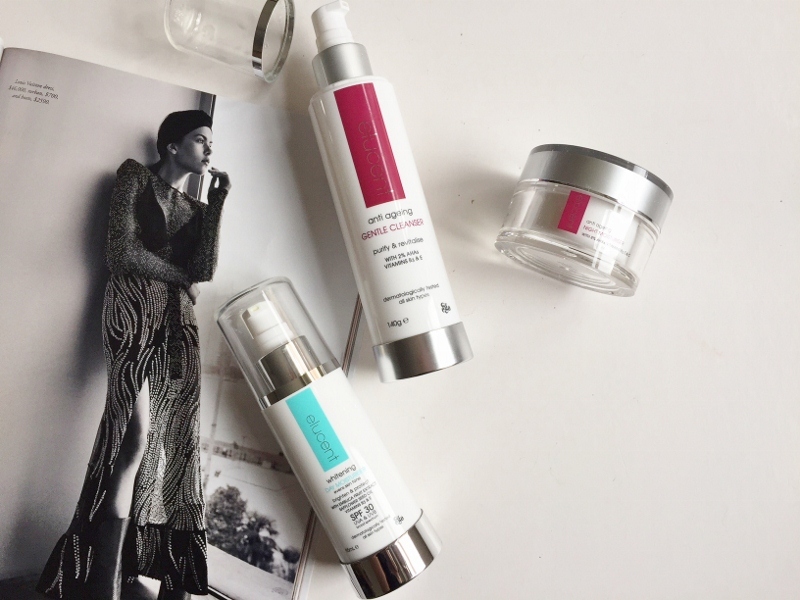 They contacted me a few months ago with an offer to try updated skincare regime, which I jumped at as I really liked their products. I was matched to my personal skincare concerns of dullness, uneven texture and fine lines, and also requested products to replenish moisture, given that my skin can get a little dehydrated in winter. I was provided with the Whitening Exfoliating Cleanser* (with embelica fruit extract, glycerin and vitamin B3), Anti-Ageing Serum* (with 16% AHAs), Anti-Ageing Day Moisturiser* (with SPF 50+) and the Whitening Night Moisturiser* (with embelica fruit extract, safflower seed oil and vitamin B3, C and E). I've been using these products for about three months now, so here are my thoughts! Elucent Anti-Ageing + Whitening Skincare Review (Version 1) - The Original! Two posts in a week! I'm on a roll! I can't believe we are two weeks out from Christmas, where's the year gone?! 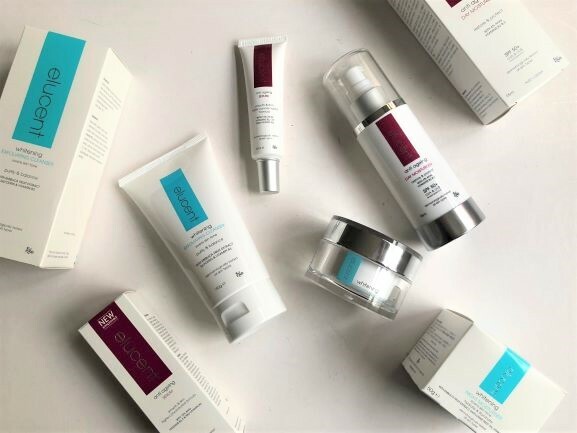 I was recently offered the chance to try some skincare from Elucent, a skincare line owned by Ego Pharmaceuticals which also owns brands like QV and SunSense. I've never tried the brand before, so I was quite eager to see what it would be like. I was matched to my personal skincare concerns of uneven pigmentation and fine lines, and provided with the Anti-Ageing Gentle Cleanser* (with 2% AHAs [Alpha Hydroxy Acids], vitamins B3, E and C), Whitening Day Moisturiser* (with SPF30) and Anti-Ageing Night Moisturiser* (with 8% AHAs). I've been trialling this range for about three weeks now, so here are my thoughts! This cleanser is meant to purify and revitalise. It cleanses the skin while the AHAs and vitamins work to gently exfoliate the skin. It's packaged in a handy pump bottle which makes it really easy to dispense. This works just the same as any foaming cleanser would. I remove my makeup with my oil cleanser, then use this for double cleansing by applying 1-2 pumps into the palm of my hand and massaging it into my face before rinsing it off. While the box did warn of a possible tingling sensation, I did not personally experience anything of that sort. Overall, I really like this cleanser, it feels like it really cleans my skin without stripping it of moisture. This moisturiser is meant to brighten and protect your skin. The Emblica Fruit extract, safflower seed oil and vitamins B3 and E are meant to moisturise the skin, while broad spectrum SPF30 helps protect the skin from premature ageing and pigmentation. Like the cleanser, it's packaged in a handy pump bottle. The cream itself is quite thick and does leave a sheen on my skin once applied. I did feel that it was quite heavy and sometimes had to wash off any residue left on my hands after applying, but it sat nicely enough on my face/neck and wore well under makeup. I wasn't overly fond of the texture in the beginning, but it has grown on me somewhat and I have to admit that my skin does look clearer and more even now than when I first began using it. Overall, I have grown to like this, especially after seeing results, and I also love that I can skip using sunscreen since it's already incorporated in my moisturiser. Can you believe that Christmas is almost here?! It feels like it was just a few weeks ago and yet a whole year has passed since. There's been a lot of talk about Kris Kringle/Bad Santa around my office, so I thought I'd share some Kris Kringle/Stocking Stuffer ideas to fit every budget and preference. 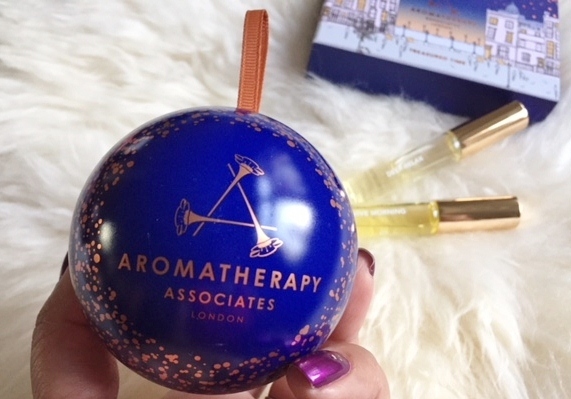 1) Aromatherapy Associates Precious Support Breathe Bath & Shower Bauble ($20) & Treasured Time Deep Relax and Revive Rollerball Set ($40). 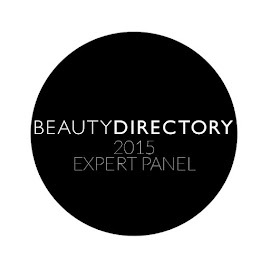 * These are also stocked at Sephora Australia and Adore Beauty. 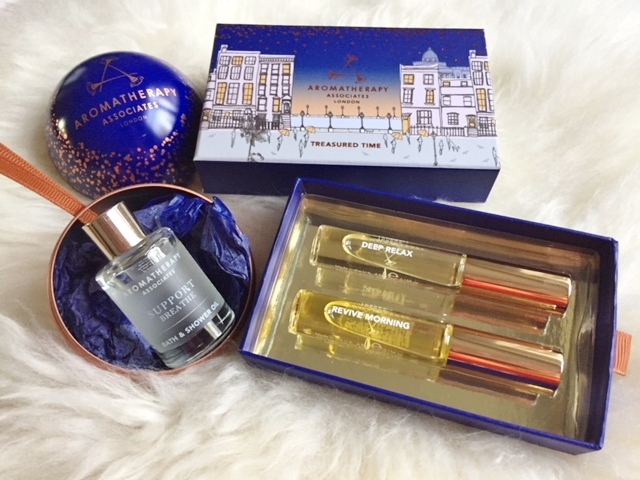 Aromatherapy Associates Precious Support Breathe Bath & Shower Bauble ($20) & Treasured Time Deep Relax and Revive Rollerball Set ($40). These gift sets are packaged beautifully. The Precious Support Breathe Bath & Shower Bauble is both rejuvenating and relaxing, with its combination of Eucalyptus, Pine, Tea Tree and Peppermint essential oils. The Treasured Time Deep Relax and Revive Rollerball Set is pure indulgence. I love using the Deep Relax on my pulse points before bed, while the Revive is perfect for when I need a quick boost of energy (like when 3pm hits at work and I can feel my energy flagging). 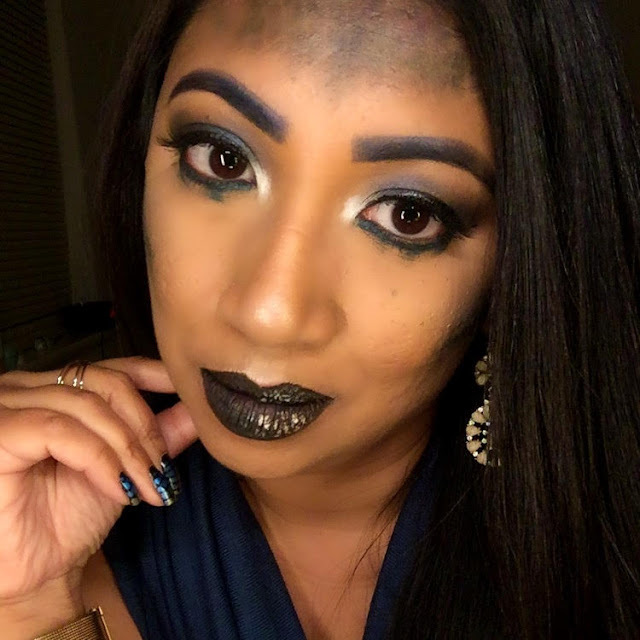 Halloween 2017 Makeup and Nails! Happy Halloween!! If you've been following me for any period of time, you'll know that I love Halloween, and usually do something on the blog every year, so I couldn't let the occasion pass without doing something special. 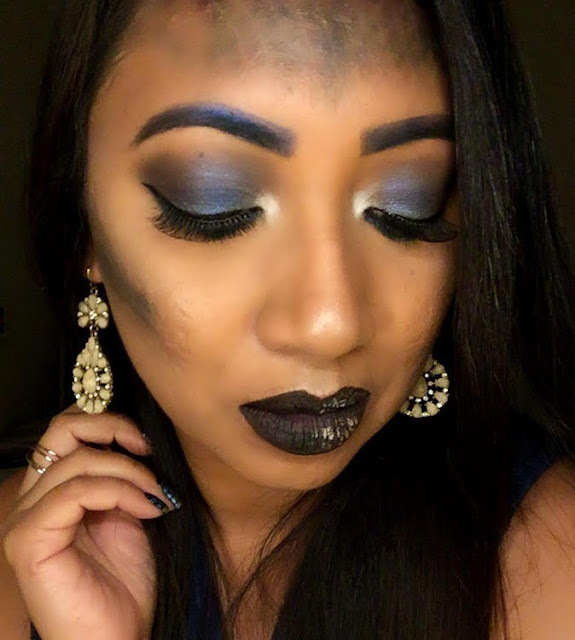 I went to a makeup event at Spooktober a few days ago and as I was coming straight from work, I didn't have many options, so I created this quick and easy look. However, I literally did that in 5 minutes in my car outside the venue, so I did want to do something here on the blog that would take a bit more effort. Now, I've always wanted to try the mermaid look and then I received a Halloween challenge from one of my favorite brands, Rimmel London, where I was challenged to recreate a look created for them by British Blogger/Youtuber called CocoChicBlog. The look is called the 'Dark Mermaid', and encompasses ombre brows, fish scales, smudgy tear stains and a dark lip. Here is my take on it, together with a few small touches of my own! I also decided to do nails to match, which you can see later on in this post. Before we go further, I'll just admit that I wasn't too happy with this look for a couple of reasons. 1) I couldn't buy proper fishnet stockings anywhere! I went to four different stores on the weekend before finally giving up and buying the pair I used here, but the fishnet pattern was quite small, which became a real struggle when I slipped it over my head, so the 'fish scale' pattern wasn't as clear as I'd have liked. 2) I had really hoped to finish work early, finish this look and take the photos in natural light, as I'd managed to do for the manicure photos. Unfortunately, I left work a little later than expected, by which time the weather had taken a turn for the worse and started storming, so I had to take these photos by the light of my makeup desk which is quite warm. Still, something is always better than nothing, right? Mecca 20th Birthday Limited Edition Collection - My Top Ten Picks! I am so very sorry for having been away for so long…I know it seems like I keep saying that but having moved to a whole new industry, it’s a little hard catching up, so I’ve been having to devote a fair bit of time to my professional life (seeing as that’s what pays the bills and funds my shopping addiction *wink*). Also, I’m on Instagram every single day, which takes a fair chunk of time. Having said that, I do miss blogging, so I’m resolving to try A LOT HARDER to be more regular with my posts! Kicking today’s post off with a bang...if you live in Australia, the name Mecca will not be unknown to you, because it's literally a heaven for Australian makeup lovers! Did you know that Mecca have just celebrated their 20th birthday, and as a result, have just released a whole swag of limited edition, exclusive products?! The products in the collection are from a mixture of Australian and international brands, curated exclusively to Mecca, and there are some AMAZING things that I’ve got my eye on! I thought it would be fun to share my top 10 picks from the range, all of which is available to shop online here. 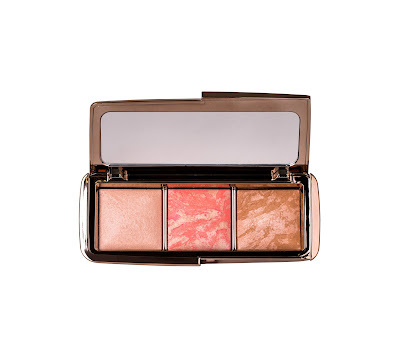 This contains an Ambient Lighting Powder and Bronzer in Luminous Light and Luminous Bronze Light, as well as a special edition blush shade in Mecca Birthday Glow. I absolutely love the Hourglass powders, and when you throw in a limited edition shade, I'm totally sold! More info here.